Every day more than five million South Africans of all ages, races and creeds tune into the number one national radio station. 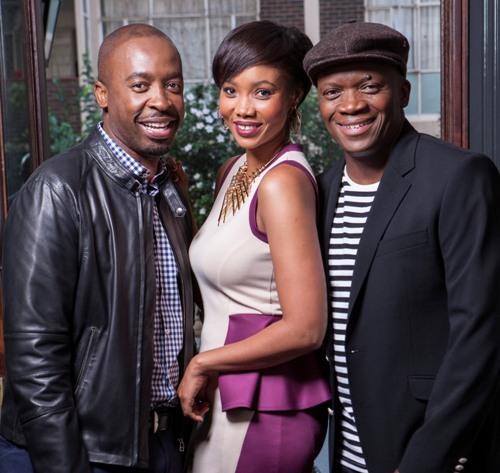 Since 1986 METRO FM has entertained and also informed its listeners who have come to regard the station’s personalities as part of their families. Unlike some radio stations that cater for a specific type of person, METRO FM is always evolving with the times and allows South Africans from varied origins to interact with each other. Even though the production can’t be faulted, it’s definitely the disc jockeys at the station that give it the inspirational edge it has. So when DRUM got the go-ahead to interview three of South African radio’s heavyweights we knew this would be a rare and special shoot. Ahead of the coveted 12th METRO FM Music Awards (MMAs) taking place in Durban on 23 February, it was fitting that we got the chance to spend some time with three of the most popular DJs at the station – Glen, Azania and Sbu.